Camping Sicily - looking for a campsite? Search here! The island nation of Sicily is situated at the southern tip of Italy and is famous for its enchanting natural beauty and warm weather. 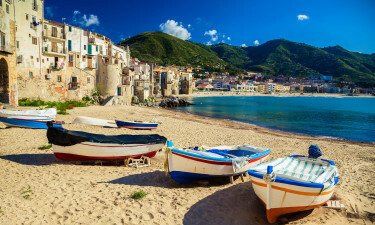 Holidaymakers who book a mobile home at one of Sicily’s luxury camping sites will have plenty of opportunities to get to know the rich history and natural beauty of this enchanting nation while also being treated to the finer things in life. LUX-camp is happy to answer any questions. Why Should Visitors Arrange a Camping Holiday in Sicily? Despite its modest size, Sicily is a nation that is bursting with dramatic features and traditional culture. The picturesque Aeolian Islands showcase the country’s enchanting natural beauty, while ancient castles such as the Castello Ursino in Catania offer an insight into the historical splendour of Sicily. Camping El Bahira - This leading campsite is situated in the picturesque Palermo region of Sicily right on the edge of a stunning sandy beach. One of the things that really makes this luxury camping site stand out in the vibrant evening entertainment programme that is organised here. After spending the day soaking up the sun on the beach or exploring the area, guests will be able to unwind by watching magic shows, comedy, live music and much more. 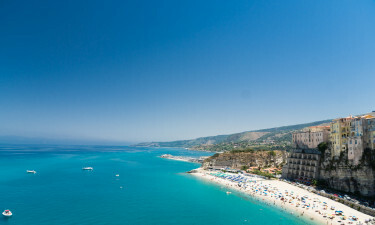 Sicily is famous for its beaches, which boast golden sand and are lapped by crystal clear water. Many of the most popular beaches on Sicily are situated on the west coast such as the long stretch of golden sand that can be found close to the seaside town of San Vito Lo Capo. The mighty Mount Etna is also a spot of impressive natural beauty that features several excellent hiking trails running around and through its scenic foothills. In addition to its natural beauty, Sicily also boasts an excellent range of historical and cultural attractions. A large number of impressive UNESCO World Heritage Sites can be found in Sicily that showcase ancient Greek and Roman architecture and some of the sites that should not be missed include the Temple of Concord in Agrigento and the Cathedral of San Giorgio. Sicily also contains a number of other impressive treasures to discover such as the world’s largest astronomical clock. 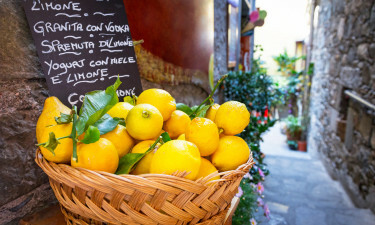 Taking the time to sample delicious Sicilian cuisine is one of the true pleasures of a luxury camping holiday. Naturally, seafood dishes are both popular and abundant here and the seafood is extremely fresh. Unlike their Italian counterparts, Sicilian dishes do not typically use cream or butter and these ingredients are replaced with plenty of fresh tomato and olive oil with herbs such as rosemary, mint and basil adding extra flavour to pasta dishes.